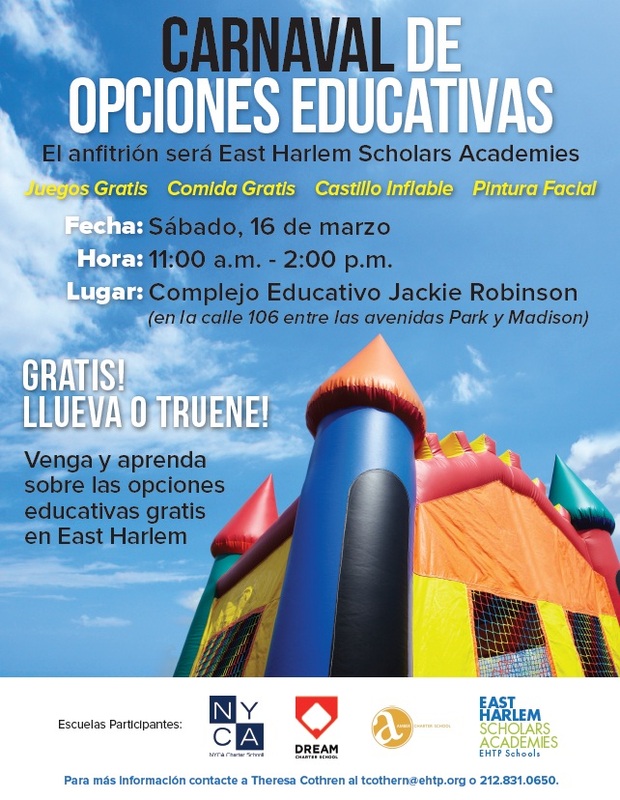 This Saturday, East Harlem Scholars Academies will be hosting a School Choice Carnival where you can learn about free elementary school options in East Harlem and even apply on the spot. Of course, there will also be obligatory carnival fun for the whole family to enjoy. This free event is on, rain or shine. 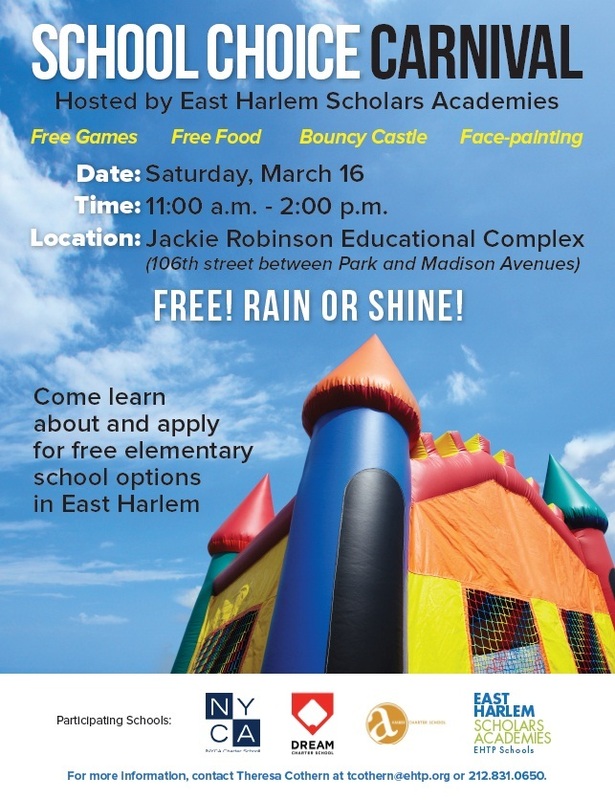 This entry was posted in Blog, East Harlem, Events and tagged Amber Charter School, carnival, charter schools, DREAM Charter School, East Harlem, East Harlem Scholars Academies, Elementary school, family, free, fun, games, NYCA Charter School. Bookmark the permalink. How in the world is it about choices when only ONE SCHOOL was taking registration? Excuse me four CHARTER SCHOOLS.